Prove your Jacksonville Jaguars style is top-notch by sporting this 2018 NFL Sideline Official 9FIFTY Snapback Adjustable Hat. 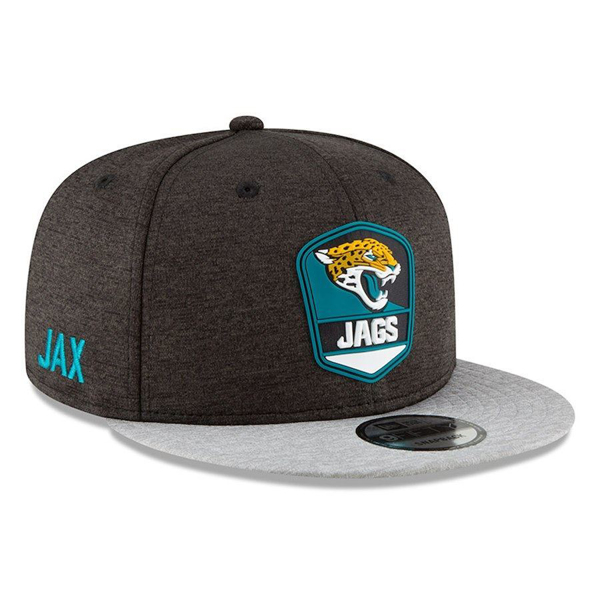 This sleek hat—the same hat worn by players and staff during away games—will instantly upgrade your game day look! Complete with a new and unique team crest on the crown, a scoreboard abbreviation on the side and New Era's cooling Shadow Tech performance fabric, this cap is ideal for showing your team pride not only on game days but every day.